Either party may decide to terminate this contract after 3 months of service, two weeks written notice from the Contractor or from Client must be given in order for the termination to be effective. If the client requires canceling the service without the two weeks notice a 30 fee will be charged as a cancellation fee and all the hours done by the cleaner will be charged at rate of 10/hour. Our cleaners work any day of the week including Bank Holidays. If your cleaning visit is due on a Bank Holiday and you haven’t called or e-mailed to cancel the visit, the regular amount due for that cleaning visit will be charged regardless of whether the cleaner has cleaned your property or not. The Client agrees not to pay money directly to any cleaner sent to the Client by the Contractor, as all money must be paid to the Contractor through the Contractors bank account, cheque or online banking. The Client is charged on a weekly basis according to the client’s request for number of cleaning hours and interval between visits. The Client will be notified by telephone or in writing which ever is appropriate, if there is any change in cleaner providing services to the Client. The Client agrees not to directly employ or offer work to the cleaner of the Contractor, as this will be a direct breach of this agreement. If the client wish to employ a cleaner directly, the client must pay £1000 fee to the Contractor. The Client may cancel/skip a cleaning visit by giving at least 24 hours notice. 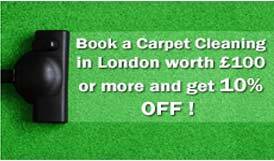 Otherwise If not notified on time Best Cleaning London will charge the full amount for the cleaning visit and no refund can be claimed. In case of a complaint, Best Cleaning London requires to be notified within 24 hours after completion of the cleaning work. No claims will be entertained after the above time limit. If the Client is dissatisfied with the work, a cleaner must be allowed to return and re-do the job at no extra charge. If the client is dissatisfied again the agency will replace the cleaner and the client will not be charged for the first visit of the new one.